Earlier this year, I got to visit one of my favorite places on earth for the very first time. Arizona is completely and utterly amazing. The week we spent in the desert was one of the most profound of my life. I’d never seen anything like it—the red rocks that seemingly rose out of nowhere. The canyons carved out of the ground by mighty rivers. It’s an extraordinarily beautiful place. Montezuma Castle, high up on its cliff. The short walk to the ruins of Tuzigoot. We started our trip by flying into Phoenix International, renting a car, and immediately heading out of the city. 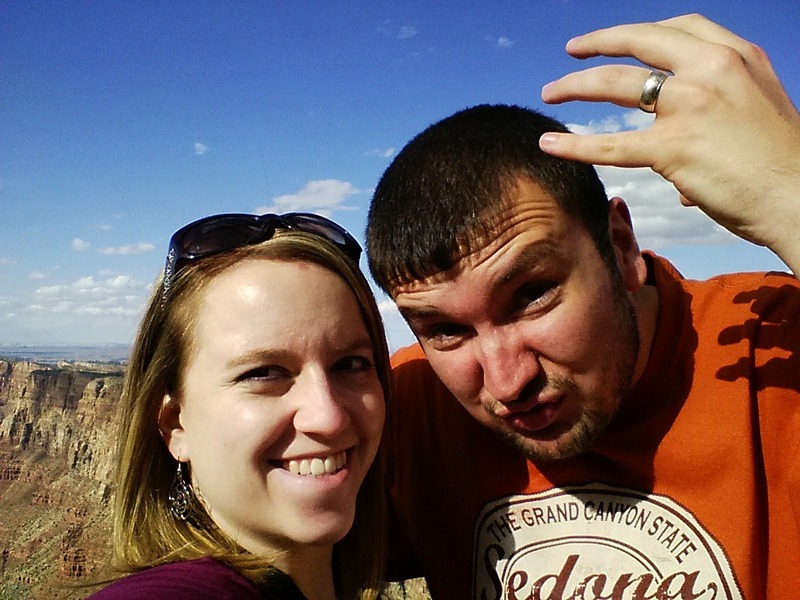 We wanted to stop at a few national monuments en route to Sedona. The first was Montezuma Castle, which was pretty remarkable. To think that people chiseled out the side of that mountain centuries ago is pretty amazing. It’s definitely worth a stop, as is nearby Tuzigoot National Monument, offering scenic views of the surrounding desert landscape. But it was the drive from Tuzigoot to Sedona that had me literally gasping at the views. The colors of the earth shift, becoming deeper—richer. The red rocks start to poke out of the ground, reaching skyward. 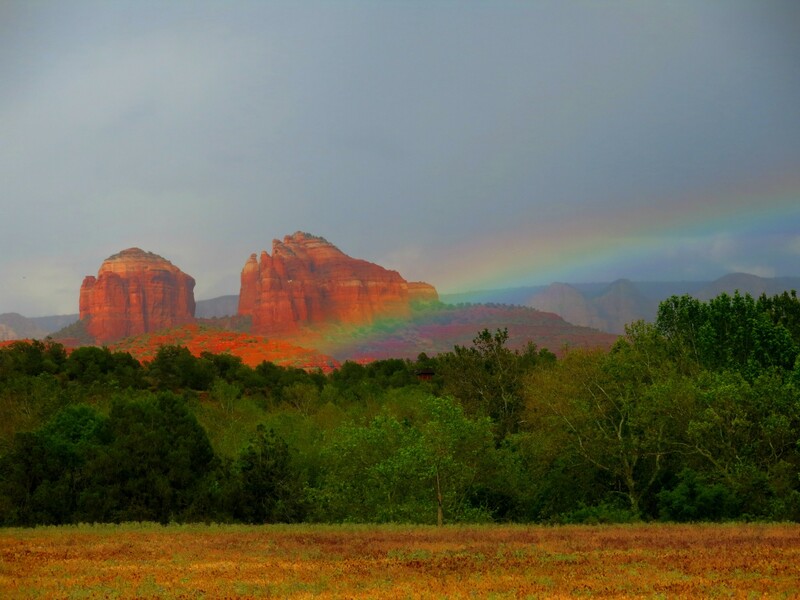 And then you’re there—in Sedona—where it’s as if God took a paintbrush and dotted the landscape with colors you’d only expect to see in some exquisitely detailed watercolor. 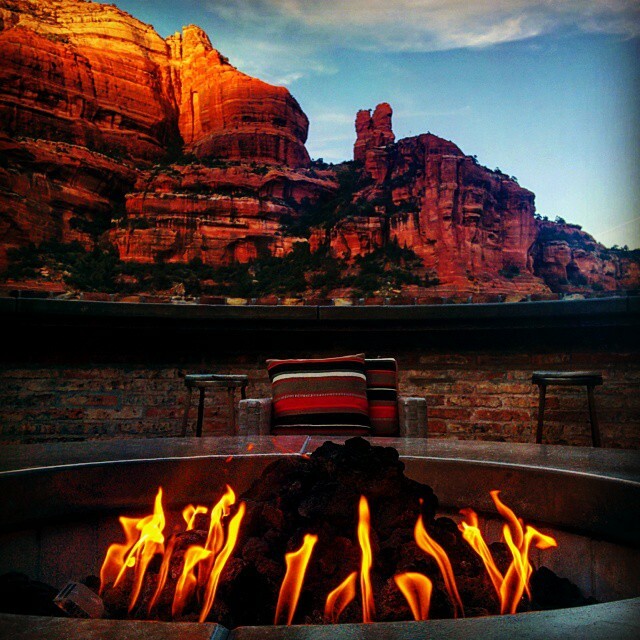 Make sure to spend a few days in Sedona. You don’t want to plan to stay for an evening, then drive away the next morning, watching the red rocks in your rear-view, knowing there’s so much you left unexplored. 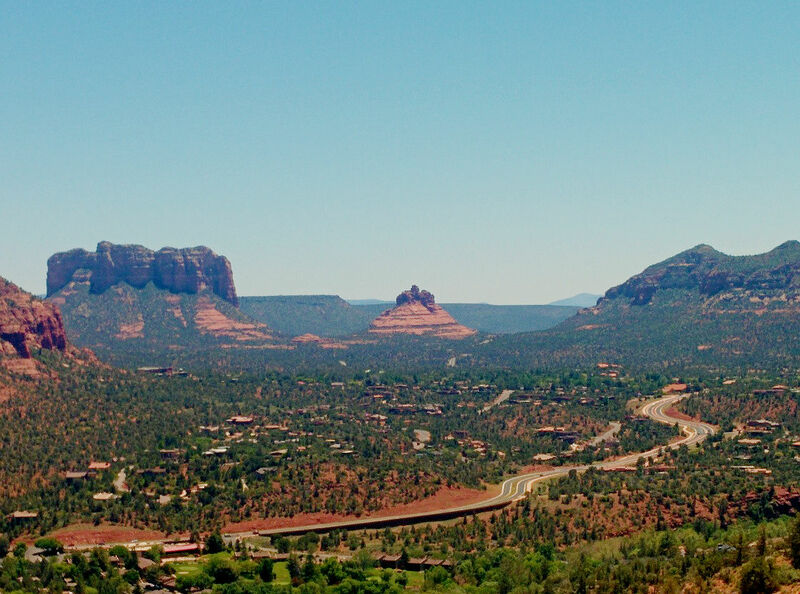 From scenic hikes to off-roading adventures, Sedona has an adventurous side that you’ll want to take some time to delve into. 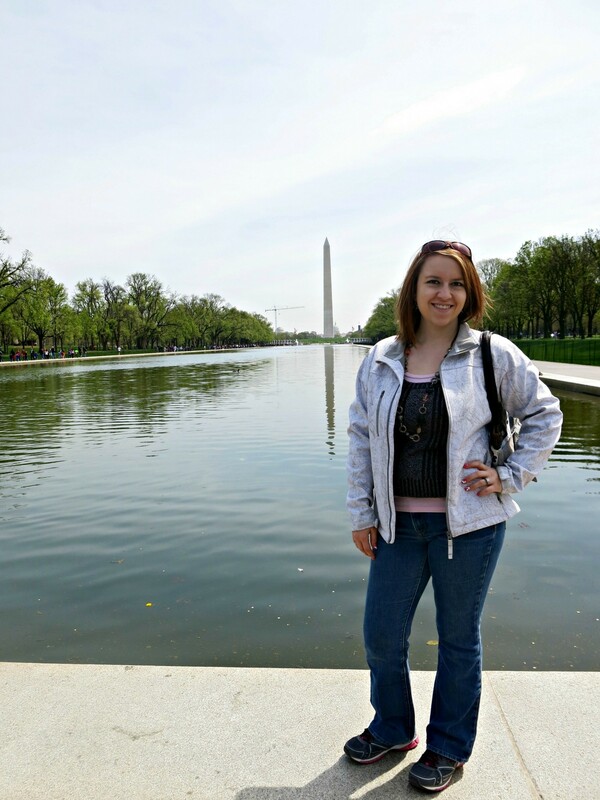 Check out my city guide for the best activities, restaurants, and places to stay. 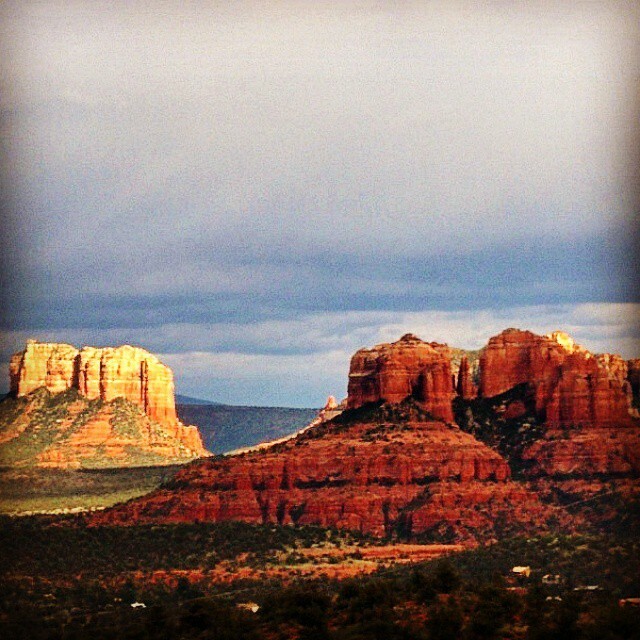 View from the Orchards Inn of Sedona. Enjoying the view from Chicken Point. Next, make your way to the Grand Canyon, a mere two hours north. 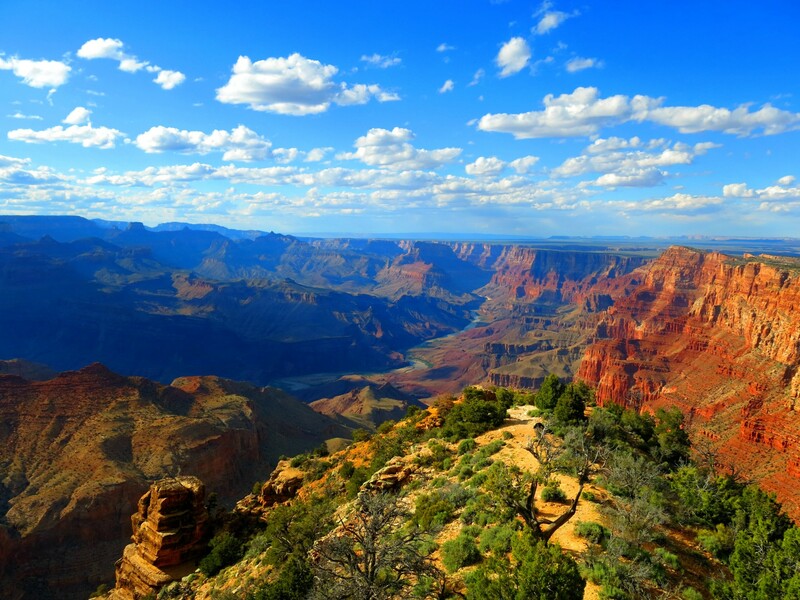 Perfect for a day trip, or a week-long camping adventure, the Grand Canyon offers an experience for every type of traveler. We spent the afternoon gazing over the rim, marveling at the layers of rock formations, and the tens of thousands of years of history held within them. It’s an incredible place—something that often tops the bucket lists of amateur travelers everywhere—and as well it should! No picture could ever do it justice. You need to stand in its presence to truly appreciate its magnitude. Just go there. Trust me. 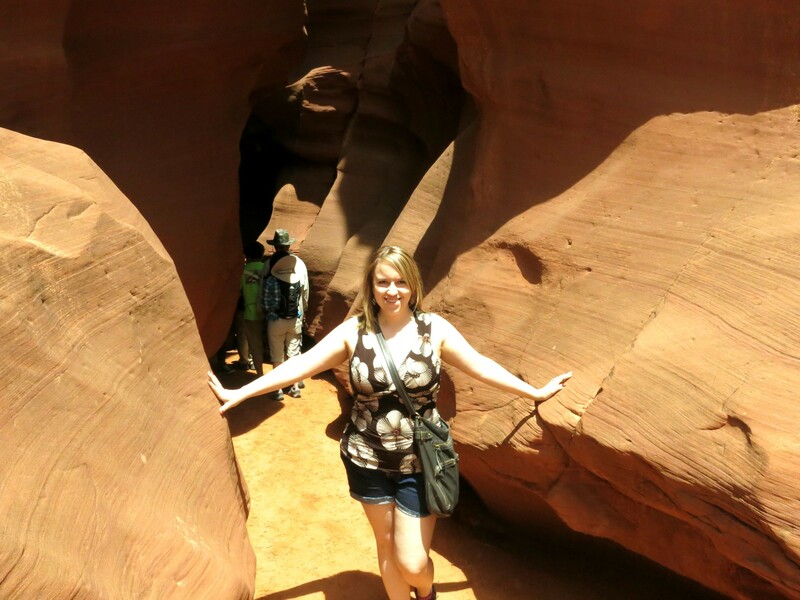 A fun side jaunt is Page, Arizona. A ridiculously small town in the upper northeast corner of the state, Page is about a 2-hour drive from the Grand Canyon, via one of the most isolated stretches of road you’ll ever come across. It’s all on Native American land. You’ll go miles and miles without seeing anything. We wondered to ourselves who in the world would ever stop at the roadside stands you’d see set up occasionally—but somehow they were always deserted. There’s one town about halfway down this road between Page and Flagstaff—and it’s still about 20 miles from that exit. I don’t remember ever feeling that isolated. Page boasts several natural wonders that make the journey well worth the trip. We reached Horseshoe Bend at sunset. 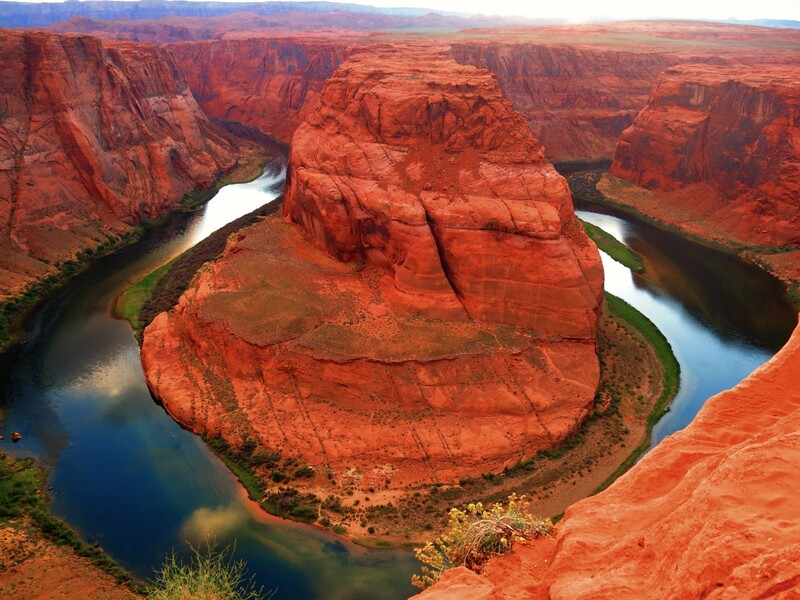 This is the place where the Colorado River makes a 270-degree turn, forming the shape of a horseshoe. It’s one of the most tragically beautiful places I’ve been. (I read a fun fact that it has the highest suicide rate in Arizona because people think it’s the perfect spot from which to pass into the next life). It’s a hike from the road, but the dramatic views make up for that. Sit and marvel at the beauty before you. 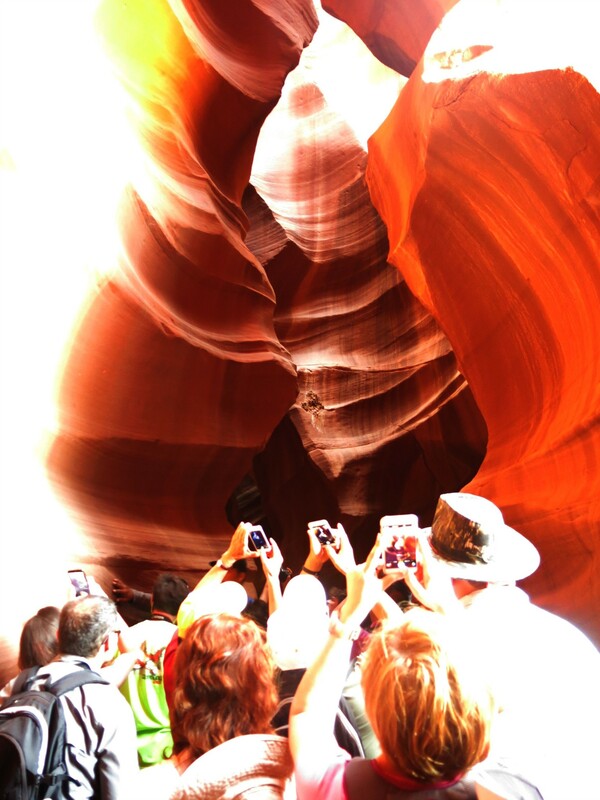 The main reason people make the trek to Page is to visit Antelope Canyon, just outside the town. 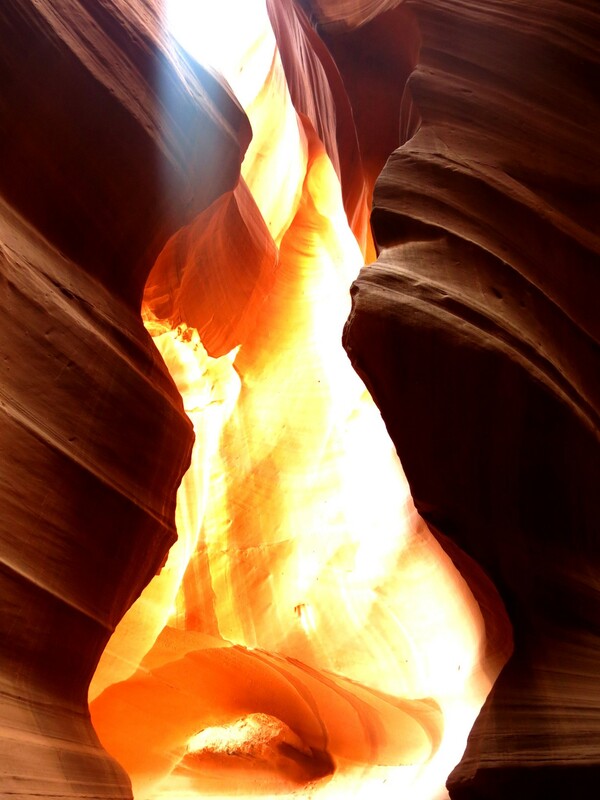 It is the most photographed slot canyon in the world. 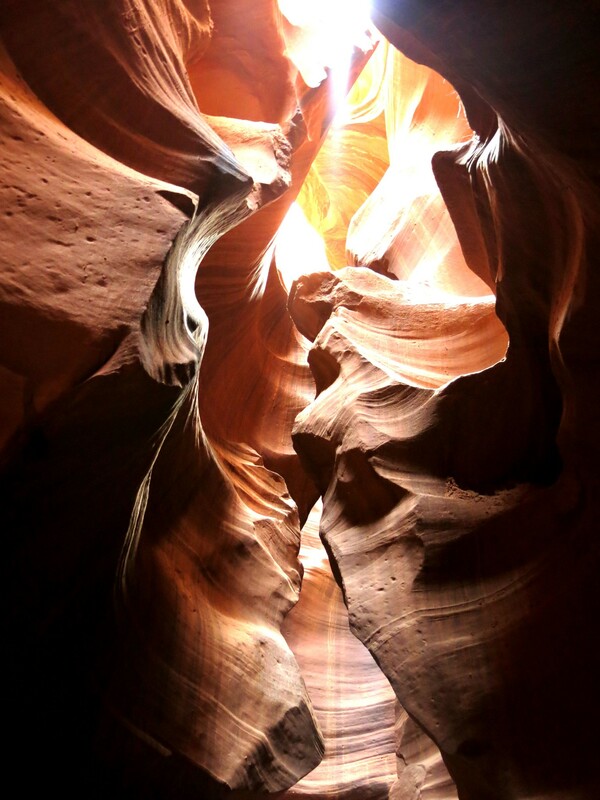 Unlike the Grand Canyon carved into the earth and witnessed from above, visitors walk into Antelope Canyon, and light dances on the canyon walls. At high noon during the summer months, light beams travel to the floor, creating an environment straight out of photographers’ dreams. It’s a remarkable place, and luckily because all the natural beauty is above your head, you are hardly bothered by the hordes of tourists surrounding you—and your images are virtually people-free! 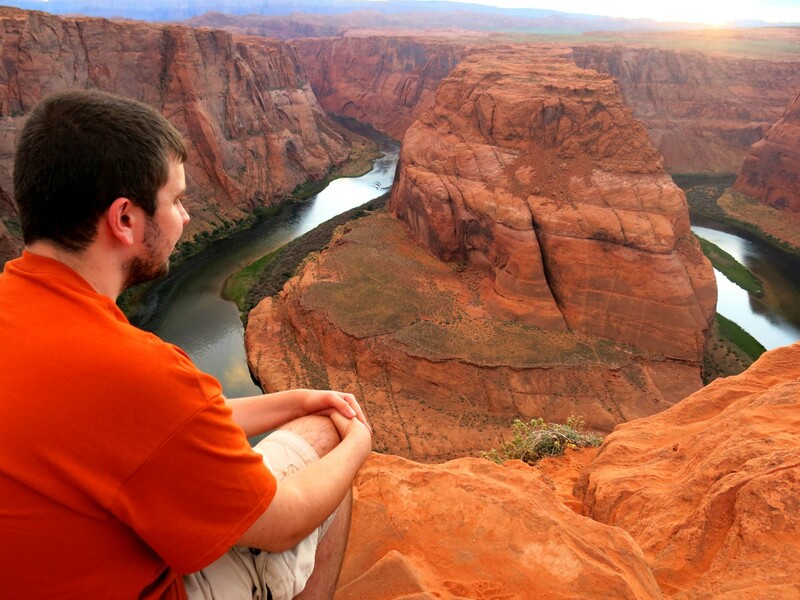 Arizona is truly an incredible place worth some exploration. We would have loved to have had time to continue on to Las Vegas, or more National Parks in Utah. If you have the time, make the multi-day drive from Phoenix to Salt Lake City, stopping at every National Park along the way. When we mapped it out, our possible route would take us to eight! 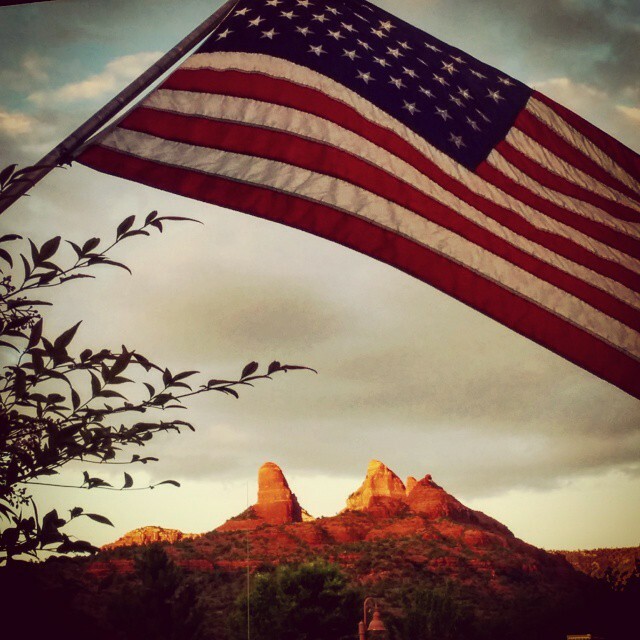 Bell Rock and Courthouse Butte, Sedona. 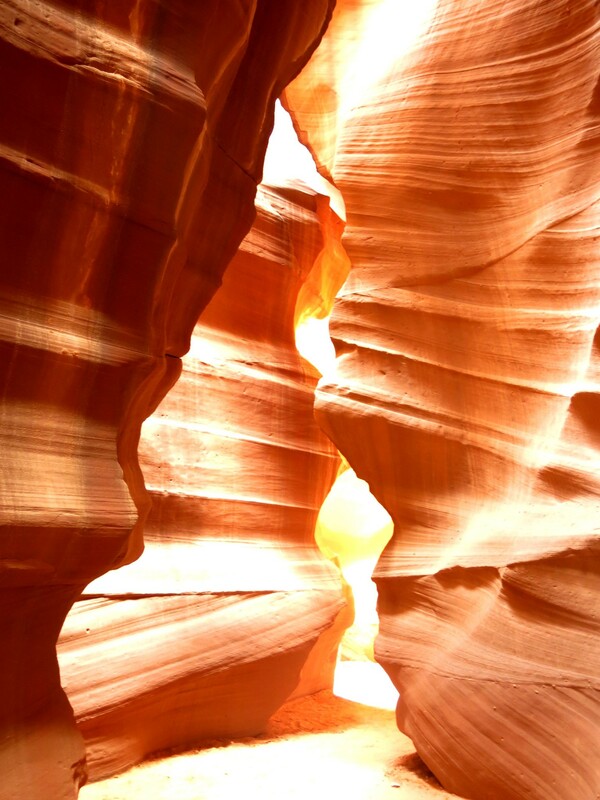 Have you been astounded by Arizona? What other stops would you include a road trip? 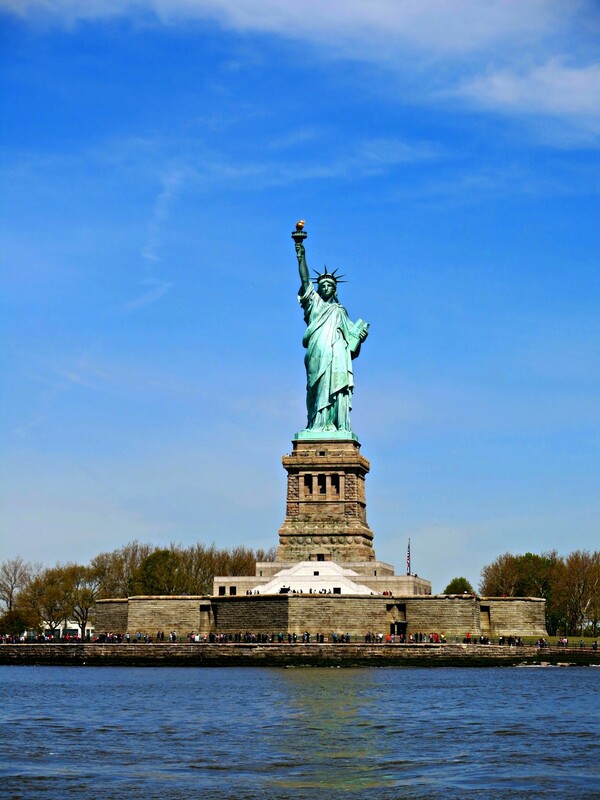 Check out our other road trips: Maine, Maui, Florida, California, and the Finger Lakes. After leaving Grand Canyon National Park, we set our sights on Page, AZ, a small town about two hours northeast. Our first stop was Horseshoe Bend, a majestic place where the Colorado River makes a 270° turn—a sight you can witness from 1,000 feet above it. The overlook parking lot is clearly marked on the west side of US 89 heading into Page, just sound of the Glen Canyon Dam National Recreation Area. The overlook is a trek from the car—make sure you have 30-45 minutes to hike the wide path. It’s an uphill climb both ways! You’ll walk up the pathway from the parking lot, expecting to see the river once you make it to the top of the hill, but you’ll be greeted by an even longer trail descending to the overlook. You’ll see people and tripods dotted across the mouth of the river ledge. When you finally reach the edge, the view is stunning. Be safe—there is no guardrail, and the rocks near the edge may be eroding beneath your feet—quite literally! (So glad I saw that warning sign on the way back to the parking lot!) Find a spot to sit and admire. We were there at sunset and got to witness the color of the rocks shift in the evening light. Viewpoint along the South Rim. As you know from my post a couple of weeks ago, we loved our recent trip to the Grand Canyon. To stand in its presence and soak up its beauty was really something special. 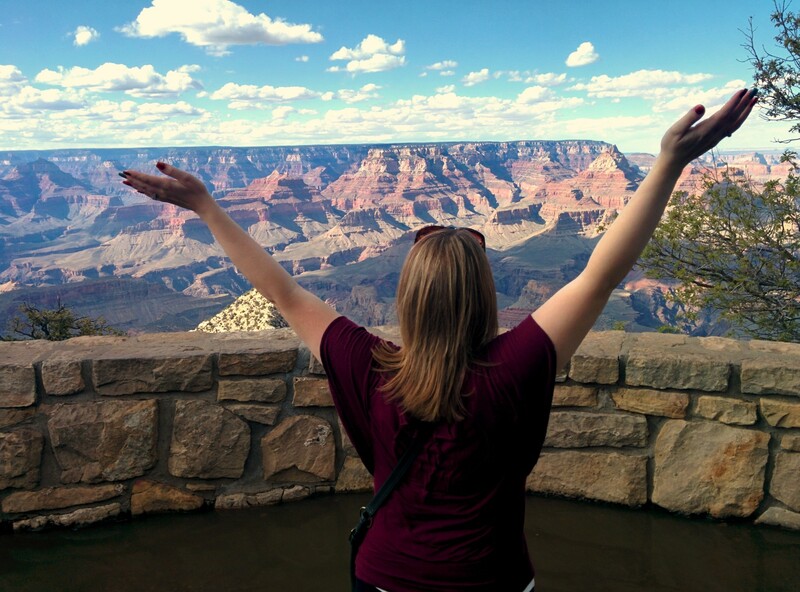 But where—exactly—is the best place to stand to witness all the wonder that is the Grand Canyon? The South Rim of the Grand Canyon is by far the most visited part of the canyon, attracting more than 5 million visitors each year. 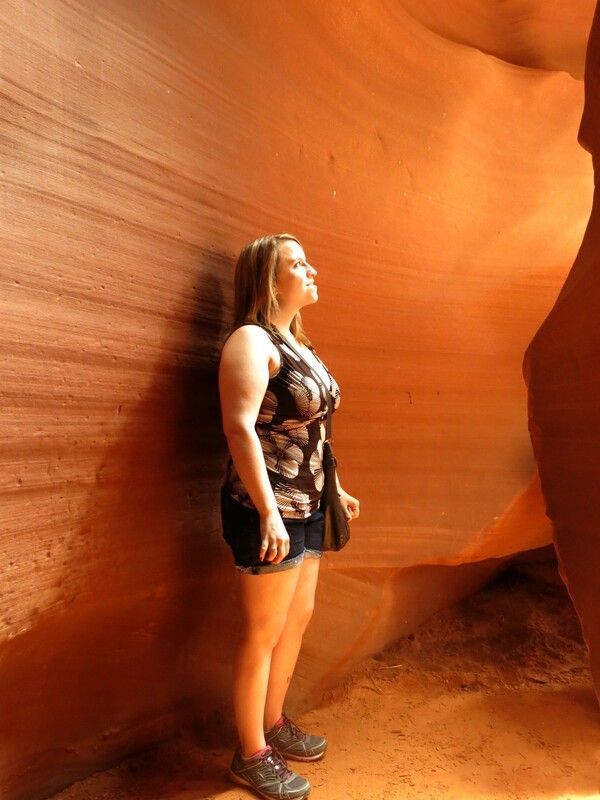 It is the easiest part of the canyon to reach, and it provides lots of great hiking and photo opportunities. Here are our favorite vantage points from an afternoon spent looking over the edge. For many people, this is their first glimpse of the Grand Canyon—the place they’ve seen in movies; the place that’s been at the top of their bucket lists for years. 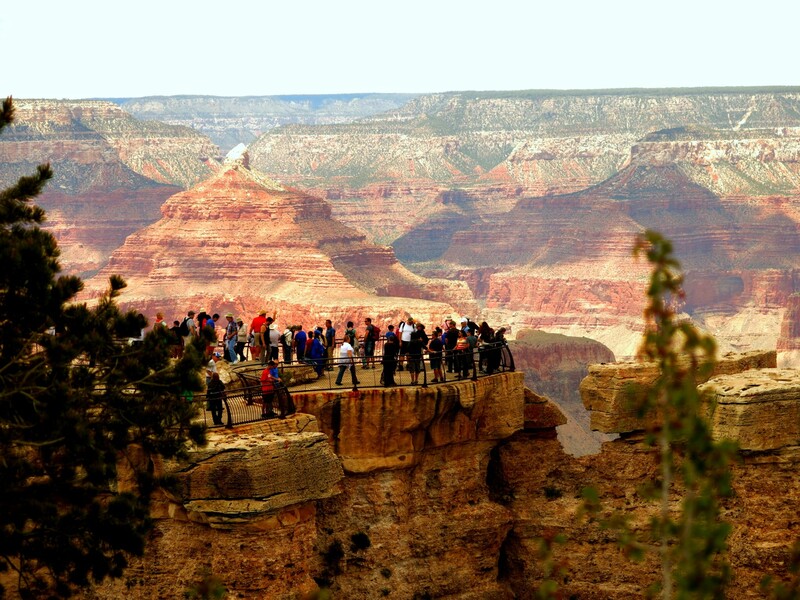 It’s the first vantage point along the Rim Trail, and as you might expect, it’s also one of the most crowded. It has insanely beautiful views, and is the perfect introduction to one of the world’s greatest natural wonders. 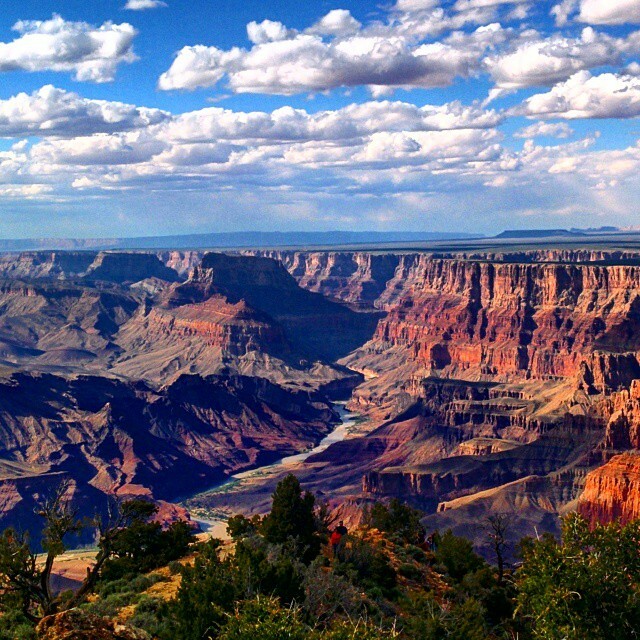 How did the Grand Canyon form? How many years ago did it all happen? What types of rocks are out there? Those are all questions that can be answered at the Yavapai Geology Museum and Observation Station. Browse the 3-D displays and exhibits to get a better picture of the geology of the region. Enjoy unobstructed panoramic views from the large glass window, providing views of the Colorado River, deep down in the gorge. From here, pick up the Trail of Time, a walking trail that further takes you on a journey through the Grand Canyon’s geologic history. Over the course of the 1.3-mile, hour-long hike, you’ll transition from the most recent rocks (all of which you can touch) to rocks that are literally billions of years old. The trail ends at Grand Canyon Village. A four-story tower stands high above the point where the Colorado River takes a turn to the north towards the Navaho and Hopi Indian Reservations. Moe than 20 miles to the east of Grand Canyon Village, this point offers fantastic views—on a clear day, you can see for 100+ miles! Several viewpoints on the ground offer panoramas of some beautiful land—and you can see the site of the final resting place of 128 lost when two planes collided over the Grand Canyon back in 1956. Climb the watchtower to see the murals inside, and to enjoy the bird’s eye view from your perch in the sky. Decorations inside Desert View Watchtower. 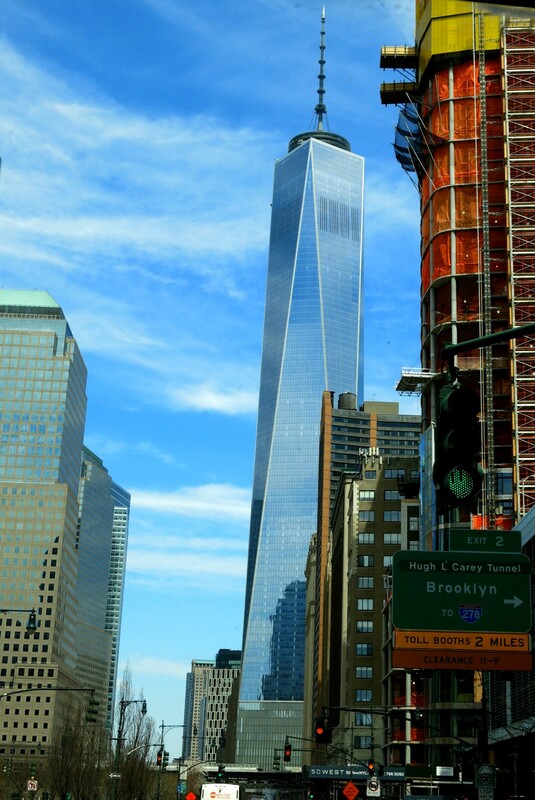 Are there viewpoints you’d add to our list? It’s at the top of every bucket list. The sheer vastness of it is incomprehensible. And, it’s been said that standing in its presence will make you believe in God. I have to be honest. The Grand Canyon was always one of those places I knew I’d see one day, but it was never going to be the sole purpose of a trip for me. Arizona started calling to me the moment I saw pictures of the red rocks of Sedona, and it only made sense to venture a few hours north to the Grand Canyon. It’s all true what they say. 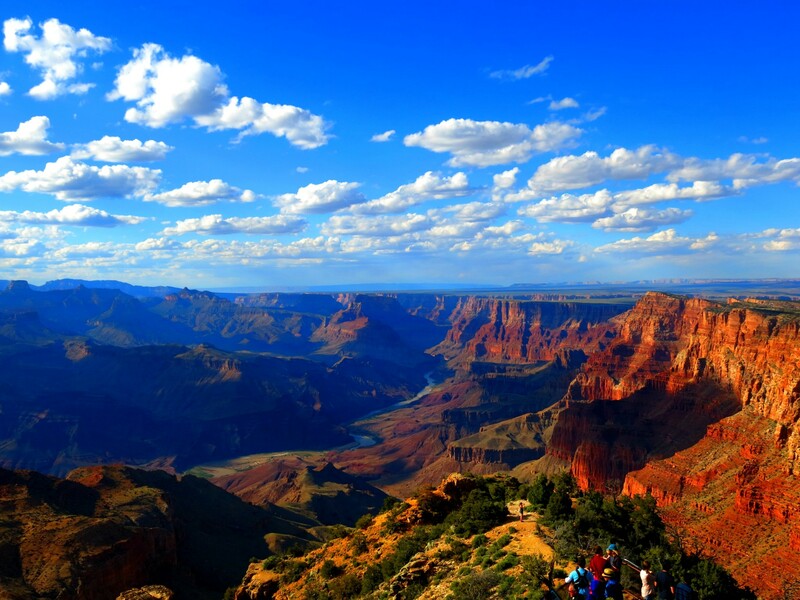 The Grand Canyon has to be one of the most remarkable places on earth. It has the power to change you. There are very few words to describe the way you feel standing on the rim of the Grand Canyon, staring out for eternity. On a clear day, you can see for 50+ miles. It’s incomprehensible, truly. The way the light plays off the rocks, the clouds creating magical colors as they pass beneath the sun—it’s indescribably beautiful. And you can’t help but feel incredibly, unfathomably small. You’d be insane not to appreciate the sheer power that the Grand Canyon holds. The fact that a river wended its way to form the deep canyon walls is extraordinary, to say the least. It’s almost like visiting Pompeii and seeing Vesuvius looming in the background. Only here, the Colorado River meanders along the canyon floor—seemingly miles away from your perch high above. But for me, it was almost too much to take in. The vastness of the Grand Canyon is mind blowing! I’ve always been one who needs to taste, touch, and experience in order to appreciate something. I need to be completely immersed in it. And for me, standing at the top of the Grand Canyon, looking over, I felt removed. I felt as though I was looking at some insanely beautiful painting, in which the artist keenly understood how to capture the essence of light. You’ve seen those paintings—they’re vibrant and alive. That’s how this felt. Don’t get me wrong, it was incredible to witness, but it left me wanting more. I need to stand at the bottom and gaze up. I should know this about myself. It happened in Switzerland when I took the most phenomenal train ride through the Alps. It happened again when I found myself on a boat in Alaska gazing up at the rock-solid wall of a glacier. Still once more in Hawaii when I sailed past the towering cliffs of the Na Pali Coast. 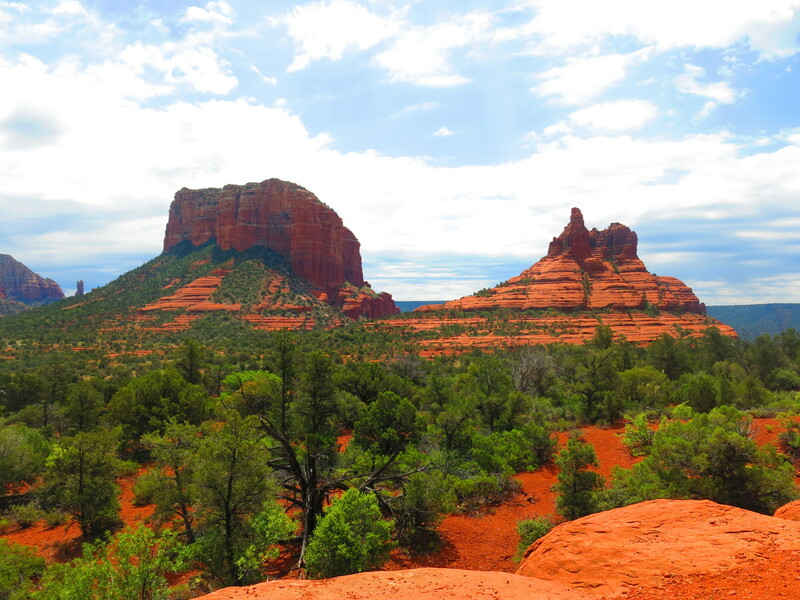 And, of course, my heart absolutely sang when I stood at the foot of Sedona’s red rocks. I naively thought it would be easy to walk down a trail into the Grand Canyon. I knew I wasn’t going far in an afternoon, but I wanted to go just far enough to be able to look back up and marvel at the canyon walls. There are plenty of tours that will take you into the Grand Canyon—probably most famously on a mule. I’m not a huge fan of horseback riding, so I was pretty sure this wouldn’t be for me either, but it’s definitely an option if you want to go beneath the surface of the canyon. Book well in advance, though! I went white water rafting for the first time last December in Costa Rica and had an absolute blast! 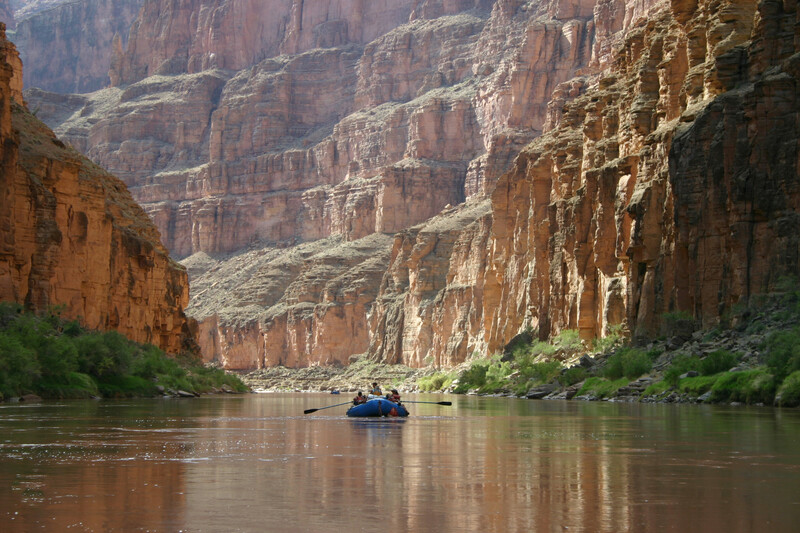 There are one-day rafting opportunities in the Grand Canyon—and, in fact, there’s basically any kind of rafting experience you want to have, up to 18 days! And if you’re really adventurous (which I am not at this point in my life), you can hike into the Grand Canyon with a guide, and stay a while—really digging into all the beauty that lies beyond what the eye can see from above. Boating down the Colorado River below Havasu Creek in Grand Canyon National Park. NPS photo by Mark Lellouch. There’s nothing worse than setting yourself up for a miserable day. We arrived at the South Rim of Grand Canyon National Park around noon on a late-May day. Mistake No. 1. The line just to pay to get in the park ($30) was teeming with cars, and took the better part of an hour. Once in the park, I was beyond frustrated to discover how incredibly few parking spots there are for the general, non-camping, public. We drove around and around for over an hour, and finally had to move further down the rim, away from the Visitor’s Center, to find parking. If you don’t arrive first thing in the morning, just bypass the craziness that is the main parking lot and move on to a secondary lot. Trust me, it will be OK. There is a free shuttle bus that has pick-ups at each parking lot along the rim, and stops every 15 minutes or so. We were able to get up to the Visitor’s Center with no problem. We could have saved ourselves plenty of frustration, tears (yes, tears!) and about a zillion curse words if we’d just moved along in the first place. There is very poor signage for the lots, which doesn’t help. There are few things that make me as crazy as knowing how near I am to something incredibly beautiful and not being able to find a parking spot so I can get out of the car to go see it! Make sure to bring lots of sunscreen and water. And I’d suggest packing a picnic instead of trying to buy food. You are in a park, after all. There aren’t many places with the kind of profound, all-encompassing beauty that can make all those little frustrations disappear completely. As soon as we walked up to the rim at Mather Point—the first glimpse of the canyon for so many—everything that had been bothering us no longer seemed so important. There, you are merely a fraction of a part of a much larger whole. And I’d venture to say there are few other places on earth were you are as keenly aware of that fact. It’s scary. It’s humbling. And it’s insanely powerful. 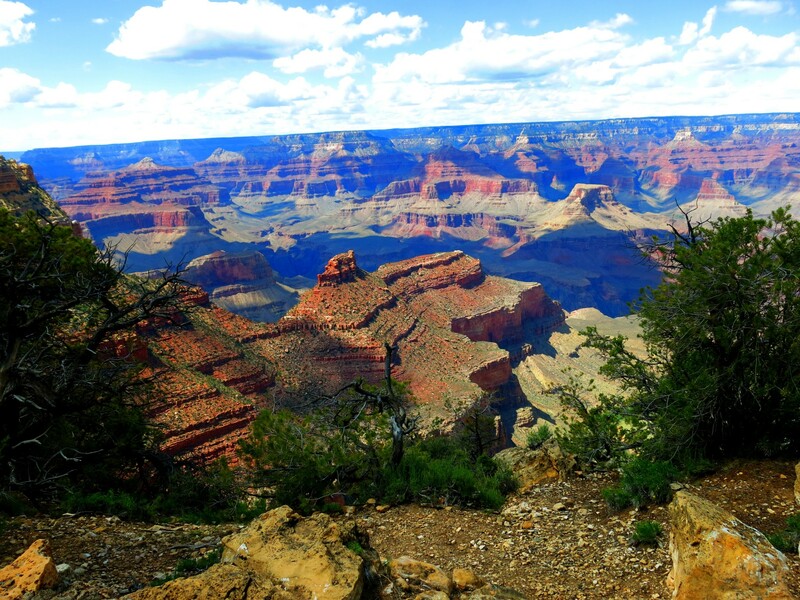 Look for my next post where I’ll give you a glimpse at the best Grand Canyon lookouts! Enjoying the view from Submarine Rock. It’s hard not to be excited about your job when you are completely surrounded by immense beauty such as this—and fresh perspectives from tourists each day to make sure you never stop appreciating how lucky you are to enjoy the view. 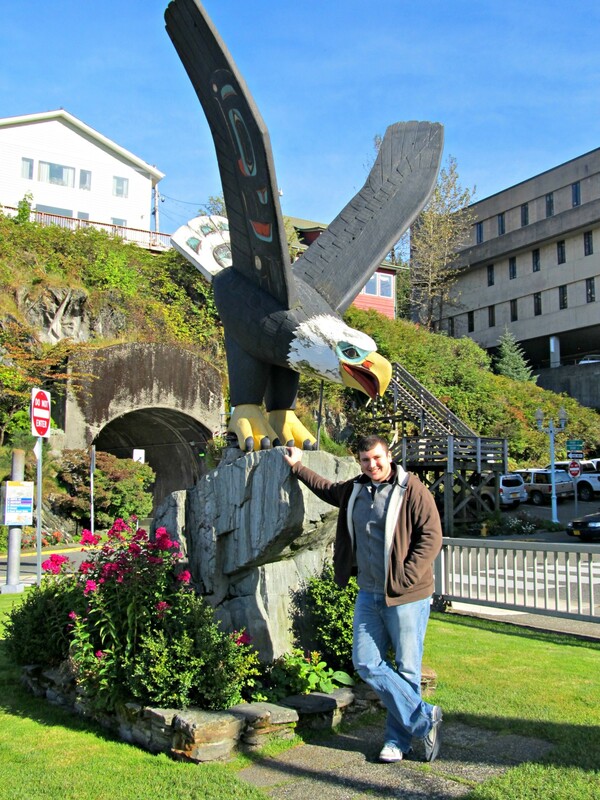 Doug grew up on the Broken Arrow Trail. He knows every curve of it—every bump in the road. He can drive it in reverse (and yes, he’s done it! )—but he has yet to test the theory that he can do it in his sleep. It’s home for Doug. Each day, an adrenaline rush as he takes people on an off-roading adventure they won’t soon forget. You can’t drive down a road in Sedona without seeing an open-air Pink Jeep loaded with happy passengers off on their adventure. For more than 50 years, Pink Jeep Tours has been showing people the very best of the history, nature, geology, and, of course, the stunning vistas of the Southwest. In fact, when the company was founded in Sedona in 1960, it became the first Jeep tour operator in the United States. 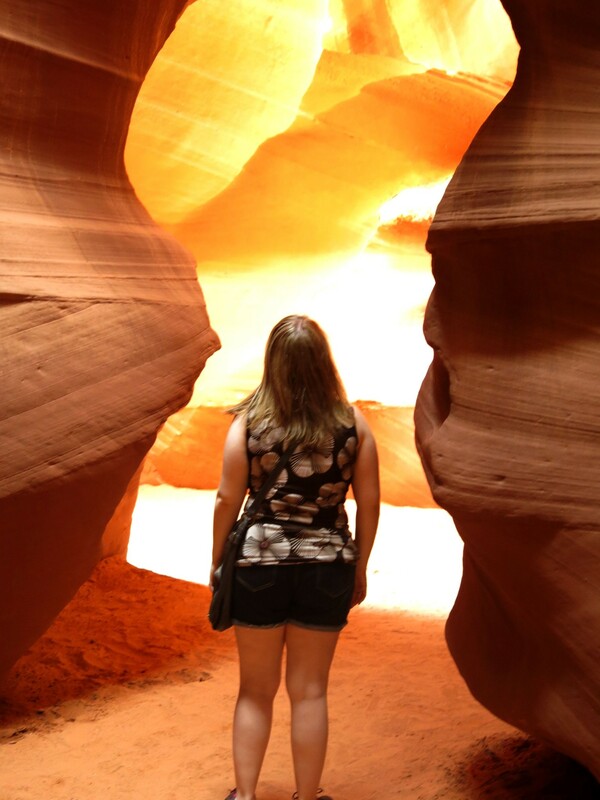 Today, Pink Jeep Tours sees more than 300,000 guests each year, and offers lots of tour options in Sedona, Las Vegas, Scottsdale, and the Grand Canyon. And don’t be fooled by the hue of these Jeeps. They mean business! Designed for “rock crawling,” they are custom made to traverse the rocky landscape of this trail—even going down a 45° angle at one point in the tour! But why pink, you wonder? During a visit to Hawaii, Pink Jeep’s founder was struck by the Royal Hawaiian Hotel’s choice of color—which permeated everything from the building to the staff uniforms. Pink isn’t a color you’d expect to see in that context—and it’s not a color you forget once you’ve seen it. 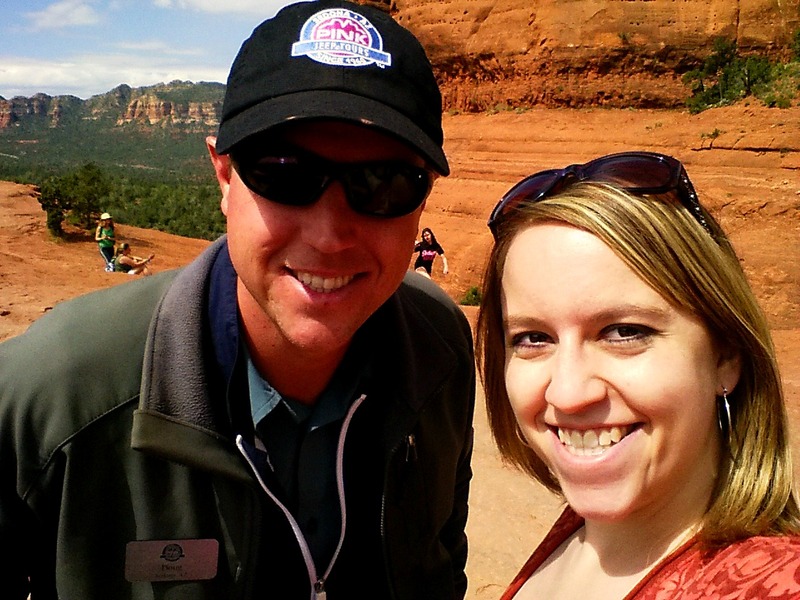 Soon, pink became the signature color of Sedona’s favorite tour company. We love Pink Jeep Tours! 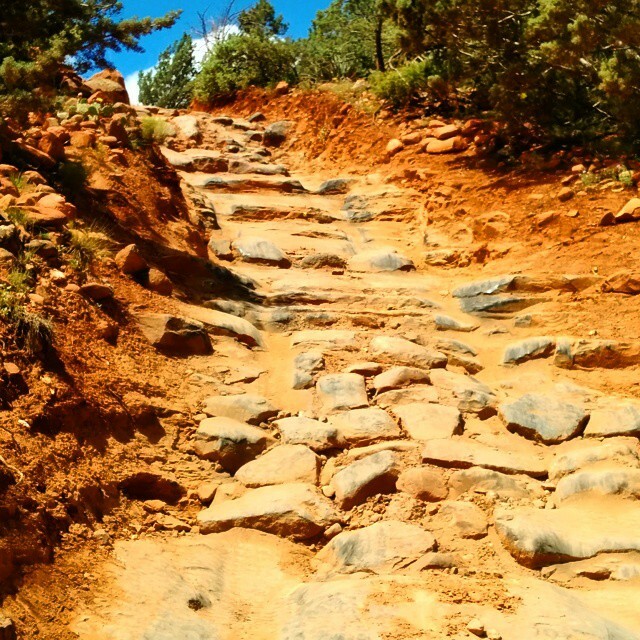 Broken Arrow Trail was the first—and is still the most beloved—tour offered by Pink Jeep Tours. If you want an authentic, down-and-dirty, off-roading experience, this is the tour for you! While there is definitely a lot of action during this 2-hour tour, there is also plenty of time to get out and enjoy the crazy stunning views that greet you in every direction. 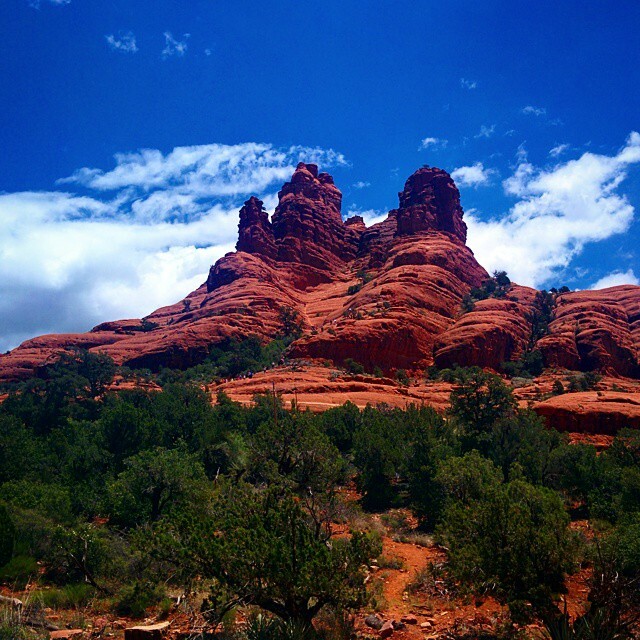 Highlights of the tour include stops at Submarine Rock and Chicken Point, driving on top of some red rocks—something only Pink Jeep Tours is allowed to do—and taking one perilous journey down the Road of No Return. 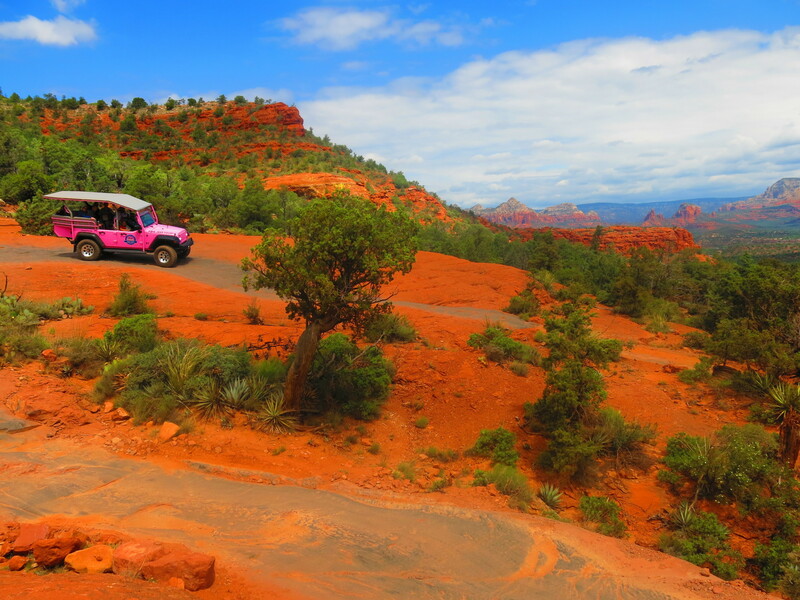 During your trip to Sedona, do yourself a favor and take a Pink Jeep Tour. It’s a unique way to explore those famed red rocks, and your tour guide will take your on an adventure that’s sure to be a highlight of your trip. If your guide is anything like Doug, they know how lucky they are to get to explore the back roads of some of the most beautiful country every single day—and they are excited to share it with you. Climb aboard and hold on tight! It’s going to be a bumpy, beautiful ride! The Broken Arrow Trail takes 2 hours and costs $95 per adult ($71.25 per child, 12 years and under). Make sure to reserve your seat in advance! A view from the roof of the central structure of Tuzigoot. Last I week I gave you the history of Montezuma Castle, a cliff-side dwelling built by the Sinagua people sometime around the 1100s. I mentioned in that article that the Sinagua people returned to the Verde Valley region of Arizona around the early to mid 1100s due to the fertile soil left behind by a volcanic eruption sometime around the year 1050 AD. Tuzigoot National Monument is another example of the structures built by the Sinagua people during this fertile period of the valley before they would migrate to other regions in the 1400s. Tuzigoot has its own charm and style about it though. Instead of being built into the side of a cliff overlooking a creek, Tuzigoot is a 110 room pueblo structure situated atop sandstone and limestone ridge near a small cutoff from the Verde River. The monument is the best preserved pueblo ruin built by the Sinagua people in the region. 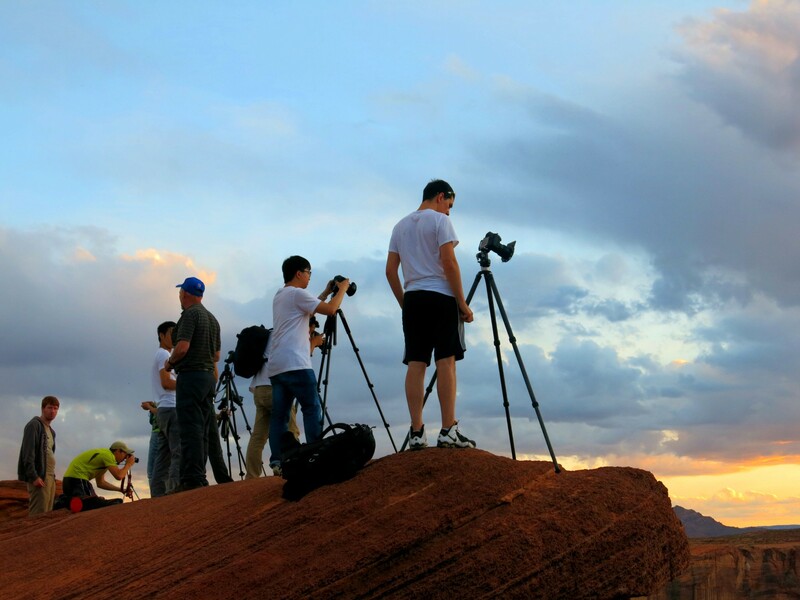 Offering expansive views of the Verde Valley, the small art town of Jerome and other surrounding cliffs, Tuzigoot is a great stop for landscape photographers. Like Montezuma Castle, Tuzigoot is an easy visit. Despite its position on a ridge, the small trail that takes you around the pueblo is mostly flat. Taking in the scenery and enjoying the small museum in the visitor’s center won’t take you more than an hour. 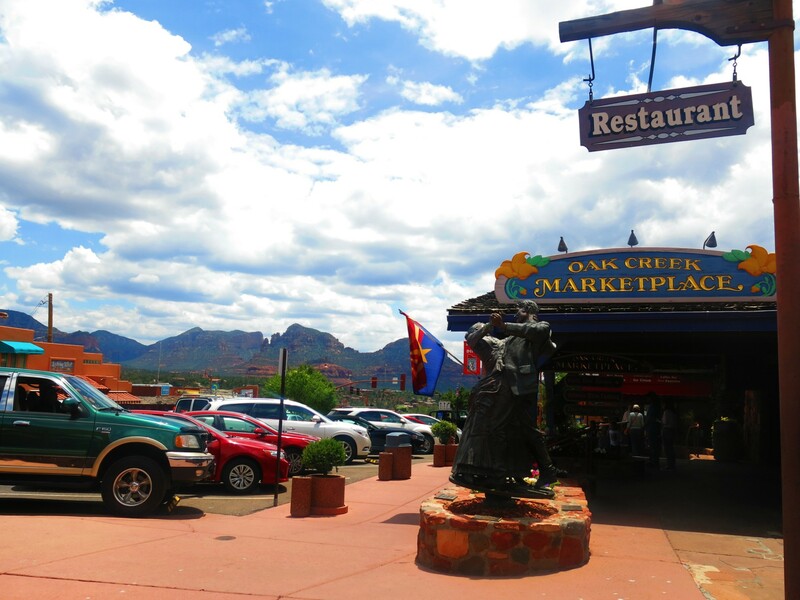 It’s also a great stop on your way between Sedona and Phoenix. While the route may seem a bit circuitous, you can easily visit both Montezuma Castle and Tuzigoot as part of the “scenic route” to Sedona, which is fortunate because having a ticket to one of the National Monuments saves you $2 on your visit to the other (and admission is already fairly cheap). One of Tuzigoot’s views from the roof of the central structure. Tuzigoot’s history is similar to that of Montezuma Castle, but with it’s own set of unique details. Built by the Sinagua people in the early to mid 1100s, Tuzigoot is situated above the floodplain of the Verde River. Tuzigoot means crooked water in Apache, a reference to Pecks Lake which is Northwest of the ruins. The Sinagua culture was largely based around agriculture and trade. Building Tuzigoot on its ridge ensured easy access to the surrounding fertile lands, while avoiding any potential problems with the structure being washed away by seasonal flooding. It also allows for a great view of the surrounding area, allowing for residents to keep an eye out for potential traders from as far away as Mexico. Bones from macaw parrots were uncovered at Tuzigoot, indicating these trade connections. Additionally, there is evidence that the Sinagua grew a species of cotton from South America, meaning that they were weaving before Europeans even came close to Arizona. It is estimated that around 250 people inhabited Tuzigoot at its peak. Interestingly, very few of the tightly packed rooms appear to have any doors. The reason for this is that trap doors were commonly built into the roof of the room and ladders were used for entering and exiting them. While it may seem that Tuzigoot is situated ideally as some kind of fort and this roof access may have made it difficult for any potential invaders to access the dwellings, there is not much evidence of warfare in the area. Instead, these rooftop trapdoors were more likely built to keep animals out rather than any enemies. It is also believed that on upper floors, regular doors built into the walls of the structure were used. Take nothing but pictures… Leave nothing but footprints. This little guy sat right next to us – Kim got a good picture of him. Looking up at the central structure of Tuzigoot. As with Montezuma Castle, the Sinagua people would abandon Tuzigoot sometime in the early to mid 1400s. Again, the reason for this is not entirely clear; however it is likely due to a lack of resources or tensions brewing with other cultures in the area. It is believed that many of the Sinagua people would simply join other tribes, such as the Hopi. Tuzigoot would be largely forgotten until the 1900s. The nearby town of Jerome was supported by copper mines discovered in the late 1800s. Mining would support the town through the early 1900s, but after the Great Depression, the ore deposits would run dry and population in Jerome would fall to less than 100 by the 1950s. These mines would have a lasting impact on the valley surrounding Tuzigoot as much of the mining waste was dumped nearby. The tailings from the mining operation are still vaguely visible; however, the area was recently replanted and much of the area’s natural beauty is returning. Tuzigoot was excavated and opened to the public in the mid 1930s. Franklin D. Roosevelt designated it a National Monument on July 25, 1939. Unlike Montezuma Castle, some of the areas of the Tuzigoot ruins are still accessible to the public, especially the rooftop of the central structure. If your curious about the history of the native peoples of the American West or curious about the impact of the expansion westward, I highly recommend a visit. A panoramic view from Tuzigoot. Unlike Montezuma Castle, you are up out of the valley on a ridge here. On a sunny day, you’ll definitely want sunscreen and probably a bottle of water. Your very exposed to the sun at this monument. Entry costs $5 per person. Having a pass for Montezuma Castle saves you $2 per person (the same applies for having a pass for Tuzigoot and going to Montezuma Castle). Montezuma Castle is a great place for us to start our new recurring Landmark History series – this cliff-side dwelling has a long history spanning centuries and even an air of mystery about it. Located in the Verde Valley in Arizona, Montezuma Castle is a permanent stone dwelling built nearly 100 feet up a cliff face. The dwelling is five stories tall and contains approximately 50 rooms. Other smaller more makeshift dwellings dot the cliff and the overall park contains other dwellings should you care to visit them; however, Montezuma Castle is definitely the main attraction. The cliff on which the castle is situated faces a stream known as Beaver Creek, which creates a bit of an oasis-like environment to the park. This is an easy National Monument to visit – there’s very little walking and the short trail in the area is very accessible. The area also includes more preserved dwellings, but they are separated from the castle. 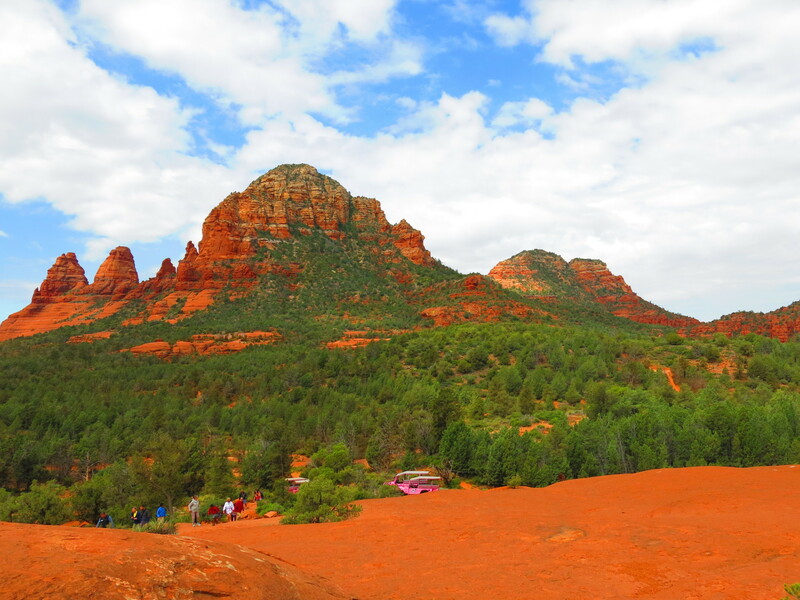 If you are just looking for a quick stop on your way to Sedona from Phoenix (as we were) this is a perfect place to stop as it’s only a couple of miles off of the highway and only takes 30 minutes to an hour to enjoy your visit. Stay on the trail! That means you too snakes (not really)! Our first close up with the Prickly Pear cacti was at Montezuma Castle. I look up at the main dwelling with other pueblo ruins in the background. While the structure itself is impressive – the storied past of Montezuma Castle is what makes it so fascinating. The Sinagua people began inhabiting the area, known as the Verde Valley, sometime around the 8th century. Evidence of permanent dwellings date back to around 1050 AD, though it was around this time that the eruption of a nearby volcano caused a brief period of abandonment of the Verde Valley. Long term, this eruption likely had a positive impact on the valley: nutrient-rich soil deposits. The Sinagua people returned to the Verde Valley in the early to mid 1100s. The Sinagua culture was built on agriculture and the combination of the fertile, volcanic soil with the reliable waters of Beaver Creek made the valley a perfect place to settle. Construction of Montezuma Castle is thought to have began early in this resettlement period. The positioning of the structure may seem inherently defensive; however, it’s more likely that the dwelling was built into the cliff to solve a much more practical problem: yearly flooding of Beaver Creek during the summer monsoon season. Elevating the structure above the floodplain ensured that the dwelling was never washed away. The dwelling was probably built overtime, added on to by subsequent generations, eventually growing in to the structure that we can view today. Eventually, Montezuma Castle would house up to 50 people. Verde Valley’s population would begin to decline sometime around 1300, falling gradually until the dwelling was abandoned early in the 1400s. This is where the mystery comes from for the Montezuma Castle. The Sinagua are known to have migrated to other areas, though the reasoning behind it remains unclear. There are a number of likely causes for the migration: drought or other farming issues or tensions with the Yavapai people who had begun to inhabit the area may have driven them away. I pose with my bud, Teddy Roosevelt. Montezuma Castle would be rediscovered by various groups of settlers making their way west. 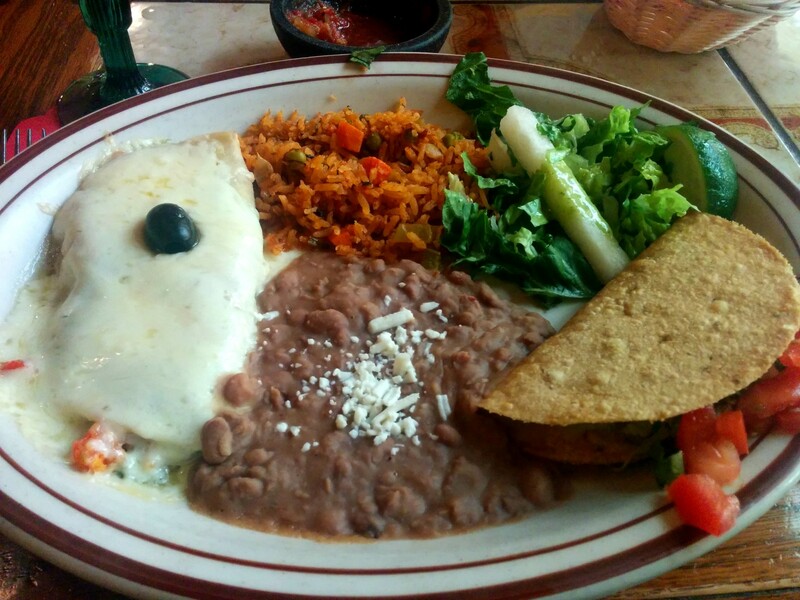 In 1864, it would receive its present day name from King Woolsey in 1864 when he mistook the nearby pueblos at Montezuma Well for Aztec ruins, naming the site after several Aztec Emperors. This provides a perfect example of how historical gaffs can stick with a place forever. The first dig at the Montezuma Castle site would be done in 1884. Unfortunately, early settlers known as “thieves of time” from around 1870 into the early 1900s would loot and ransack the sites, removing most of the historical artifacts from the area. Still, the remarkable engineering of the Sinagua people has stood the test of time and the site is impressive to see today. This was recognized by Teddy Roosevelt who designated it as one of the original four National Monuments on December 8, 1906 under the American Antiquities Act. The castle would be later added to the National Register of Historic Places in 1966. Sadly, structural concerns have closed off access to the interior of the ruins, which were open to visitors until 1951. If you’re looking for glimpses into the history of the American West, Montezuma Castle stands as an example of the storied past of the United States and its original, native groups. 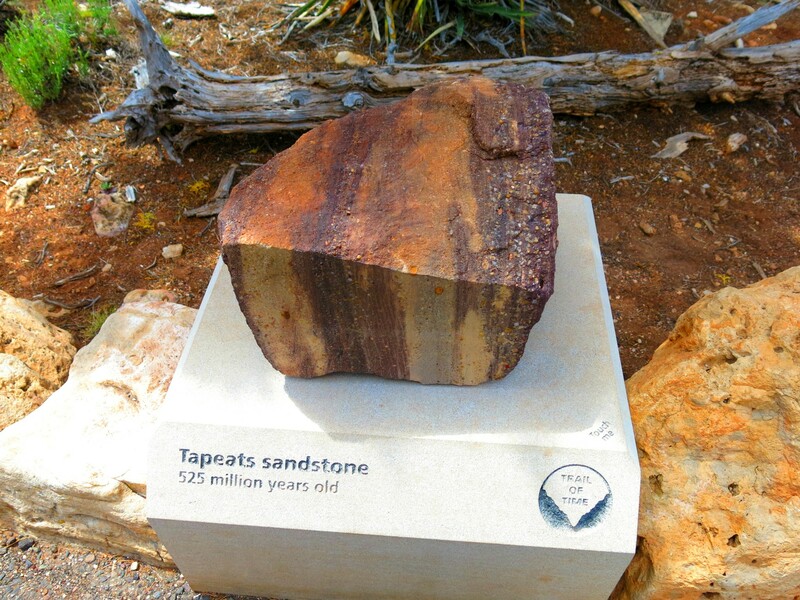 Still today, Yavapai and Hopi people who trace their roots to this area after the Sinagua people left return to the site for various ceremonies. 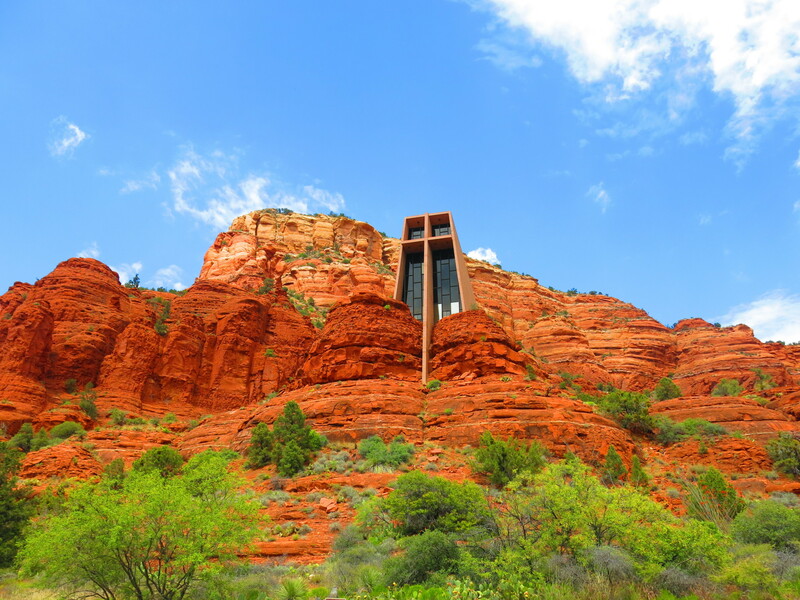 The area surrounding the monument is beautiful and perfect for those looking for an easy place to stretch their legs as they make their way across the great state of Arizona. Google Navigation only takes you to the front sign of the park area for Montezuma Castle, so don’t panic when your GPS tells you that you have arrived and all you see is a sign on the side of the road. Keep going – it’s not that much further. Entry costs $5 per person. Having a pass for Tuzigoot saves you $2 per person (the same applies for having a pass for Montezuma Castle and going to Tuzigoot).